Clubs are a great way to play with friends! Join together to chat, share, and compete as a team. 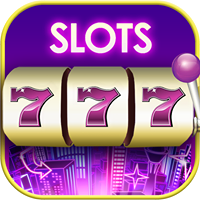 Jackpot Clubs is a new twist on your favorite slot games. Don’t just play alongside your friends…play WITH them! Join together with old and new friends for a common goal…Win more coins! Earn free coins for completing Daily Challenges, just by playing your favorite slots! All Club members will earn extra prizes each time your Club completes a Daily Challenge. Club members will earn extra prizes each time your Club completes a Daily Challenge. Enhanced Club chat features will keep you in better contact with your friends and Club-mates. Tap the Slot button to the left of the chat window to switch between chatting with the table and chatting with your Club. Please note : You can only be a member of one Club at a time. You can always leave a Club to join a new one.